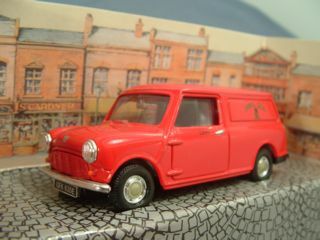 This model is the Corgi 96950 Morris Mini Van in red. 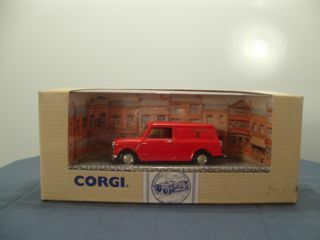 This model was released as a Royal Mail van and was packed in the normal Corgi box of the period. 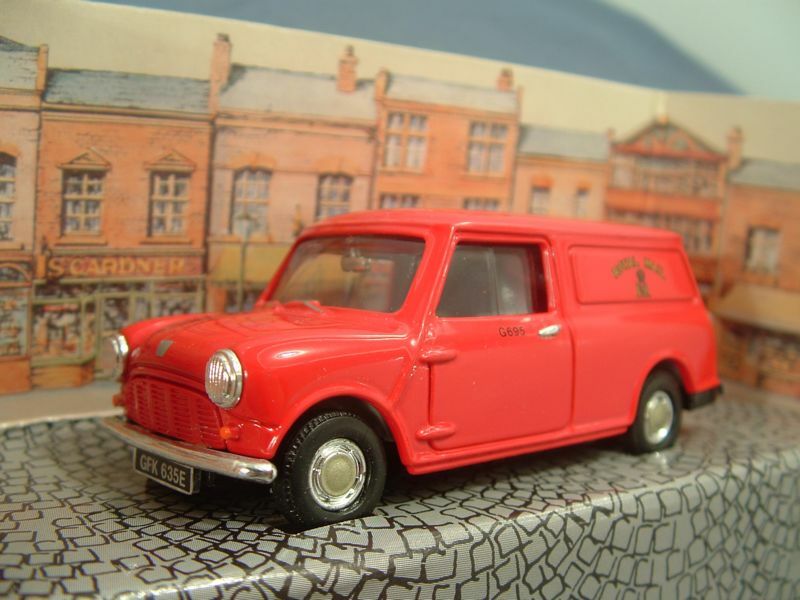 This model has a fixed bonnet, side and rear doors. The front has a chromed plastic bumper and numberplate [GFK 653E]. Two chromed plastic domes fit over the molded lights to represent the headlights. The rear bumper assembly is also chromed plastic with the rear indicator and brake lights represented by chromed plastic moldings with spots of red paint to represent the lenses. The doors have had chromed handles added. The entire interior is light grey plastic with a right hand drive black plastic steering wheel. The glazing is clear with the windscreen wipers painted on the body work and a separate interior mirror. All wheels are chrome hubs with a black rubber tyre. 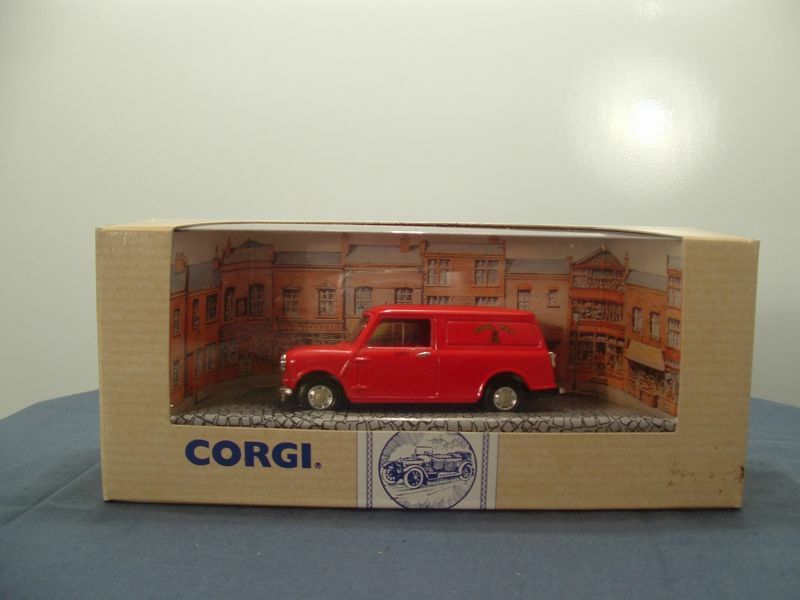 The base plate is black painted metal and is marked with "corgi" in the centre top and "Mini Van" and Made in China at the centre bottom. It is held in place with three rivets. This model was issued in May 1994.